Social media has augmented the market research landscape. It’s far easier and cheaper to find the voice of the customer online than conducting focus groups or executing traditional surveys, and online analysis tools are now pretty much as broad - or as narrow - as researchers require. Brandwatch recently hosted an open and frank discussion to understand how brands are using social data to glean valuable customer insights. 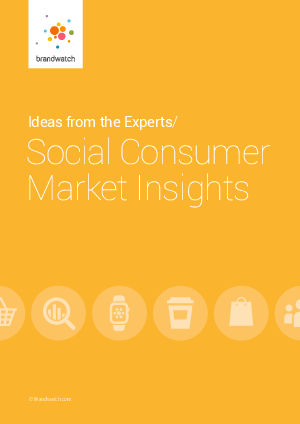 The roundtable event included leaders from some of the world’s biggest brands and agencies, and Brandwatch collated the responses for this paper to share learnings from the discussion and educate other brands and agencies on the state of social CMI.